From iPhones and iPads to Android devices, our goal is to provide entrepreneurs, enterprises, educators, health professionals, and many others with tailored project-based solutions. Our expertise: native iOS and Android using swift, objective c and java, using technologies like beacons, OpenCV, BLE, GPS, accelerometers, cameras, social media integrations and other mobile sensors. 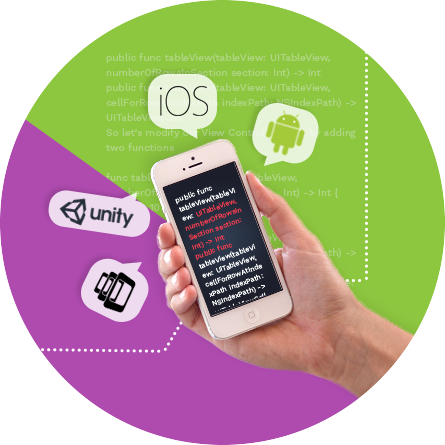 Our mobile platform expertise includes ionic, adobe air, phonegap, unity3d for Augmented Reality and Virtual Reality. You can count on us to deliver engaging, beautiful, functional mobile apps that will enhance your business and drive bottom-line revenue. 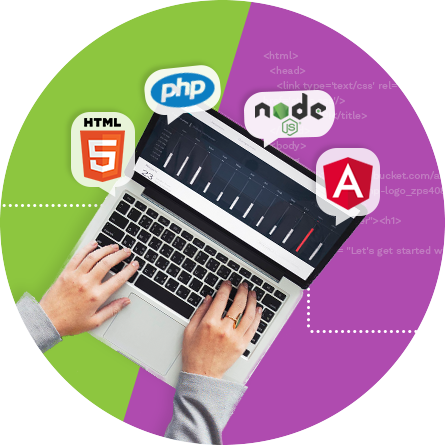 Web applications, while running unseen, are the backbone of any successful enterprise, start-up, and corporation. Their efficiency, robustness, flexibility, and scalability of design are keys to functionality and growth. Often, the only side seen is the front end, but behind all this functionality is design and implementation of a vast software infrastructure which is running silently, managing all the processes. We design system architecture to optimize customer goals. Scale and performance coupled with best practices are foundations of our design process. Do you need custom software for your start-up, enterprise, or corporation? Our dedicated software and DevOps specialists will assist you with every stage of the lifecycle, from concept to development to support. We will build out custom components where necessary, or we can seamlessly integrate existing products to minimize your risk, overall project timeline, and cost to implement. Best of all, we execute project management with foresight and accountability. 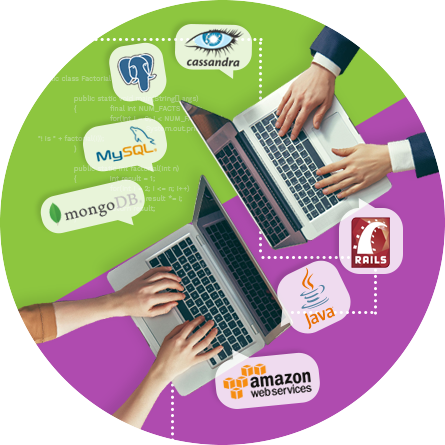 Do you need custom software for your enterprise? Our dedicated software and DevOps specialists will assist you with every stage of the lifecycle, from concept to development to support. Software functionality hinges on the experience of the developer to design and implement software which is relevant to a clients’ needs; and, an experienced software developer like AppNiv, focuses on providing a tailored solution for the whole. Wireframing to support user experience and graphic design are key components of design philosophy and knowing which elements to prioritize in relation to each other is crucial for the final UX. Development is where form meets function and where your project begins to take shape under the expert capabilities of our team of developers led by your own dedicated Project Manager. Getting your product ready for the market takes an expert team who are committed to best practices. With automated testing, and utilizing the cloud, we can ensure that your customers’ experience is flawless. Multiple testing scenarios: QA, remote cloud testing and assurance across multiple platforms guarantees release of your product through a coherent and detailed, managed process. At AppNiv we pride ourselves in partnering our clients, thinking in their shoes and advising on the best way forward while keeping scalability, costs, time, and results at the forefront of our development process. Custom software requirements for start-ups is a unique undertaking as no one size ever fits all. Your company’s brilliant idea, needs hands-on guidance from experts who can manage scalability, speed up your time to market and keep those costs well in hand. Corporates are evolving at a dramatic pace and technology is the driver of bottom line efficiencies. As leader of your Technology department, your corporate depends on you to make sure everything works, and you develop the technology infrastructure to meet the needs of the company for the future, not play catch-up with dated technology. We found an amazing partner. Ido understands our business requirements and is trustworthy, highly-technical and responsive. Ido’s project management allowed us to focus on business and he delivered on time and on budget. A reliable and professional partner that will do everything that the project will succeed. Ido and the team managed in true professionalism, flexibility, schedule and well managed budget. Despite the app’s complexity of usage of all sensors and C++ code, the work standard was excellent and fast. We use outside-in thinking to develop strategies for your product’s success and partner with you to develop function specifications that detail your product's capabilities, appearance, and importantly user interaction. This includes studying and defining detailed usage, understanding the market, where it is going and what the solution needs to cope with; defining users, defining requirements and pre-empting scalability. AppNiv offers a seamless Team Extension and Team building service through studying your requirements and providing specific skill-set resources, or multiple skill-set resources dedicated to your project. These resources act as your own in-house team specialists, without the need for extra overhead once your project is up and running. This reduces talent “ramp-up” time, while also ensuring you remain within budget throughout the whole process.